Safer Internet Day was marked last Tuesday in Saar by a stormtrooper (aka Mr Holness) marching through the hall to the Darth Vader march at the start of a school assembly. He wanted to help promote the Safer Internet theme of ‘Together for a Better Internet’ which he did brilliantly with the help of some willing Year 6 children. After Mrs Little introduced all the children to the Digital Citizenship guidelines, 4C and Mrs Jardine worked together to deliver the important message of how to behave online. The key message was to “Be Nice and Think Twice’ as well as to tell an adult if something feels wrong. It was a great assembly and everyone had the opportunity to participate in further Safer Internet activities during the school day. 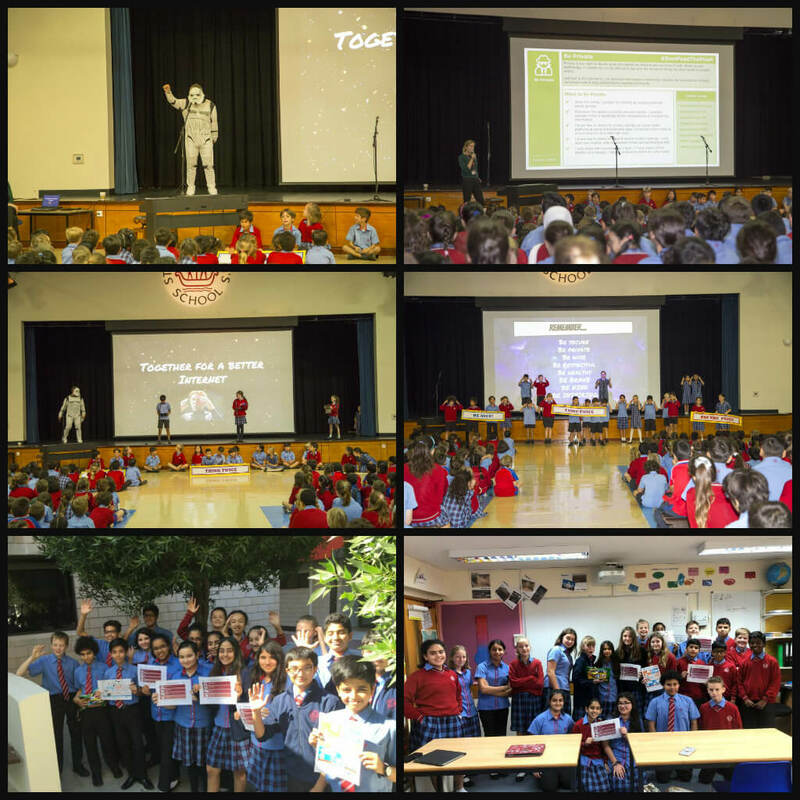 Senior School students marked Safer Internet Day with a week of informative assemblies followed by Enrichment activities that encouraged students to think about how consent is asked for and given when it comes to sharing online information and media. Students uploaded helpful tips and guidance to Twitter. The winning forms were 7D and 8H who had their Tweet ‘liked’ by the official Safer Internet Day Twitter account.